One of the best things about being a Stampin' Up! demo is the community of other demos. We craft together, laugh together, support each other, cheer each other on and generally have a good time. We also share ideas and inspiration quite freely. Recently I took part in a card swap with 5 other demos, showcasing the products in the Spring Summer catalogue. I thought I would show you the lovely cards I received from my team mates. 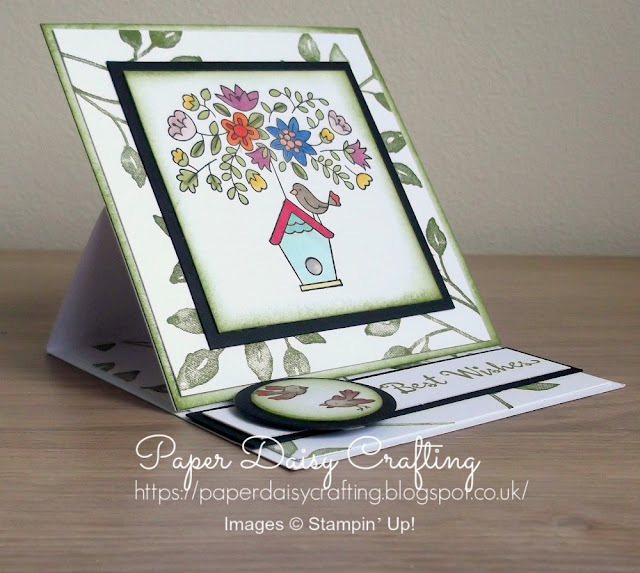 This lovely easel card above was made by Samantha Bretherick. Samantha used the Flying Home set from the Spring Summer catalogue. This pretty butterfly card was sent to me by Katrina King. Katrina has stamped the butterfly from the Beautiful Day set onto vellum and then heat embossed it using white embossing powder. She has then coloured on the back using our Stampin' Blends. The card above was made by my good friend and fellow Simply Stylish Stamper, Gez Carpenter of Nigezza Creates. 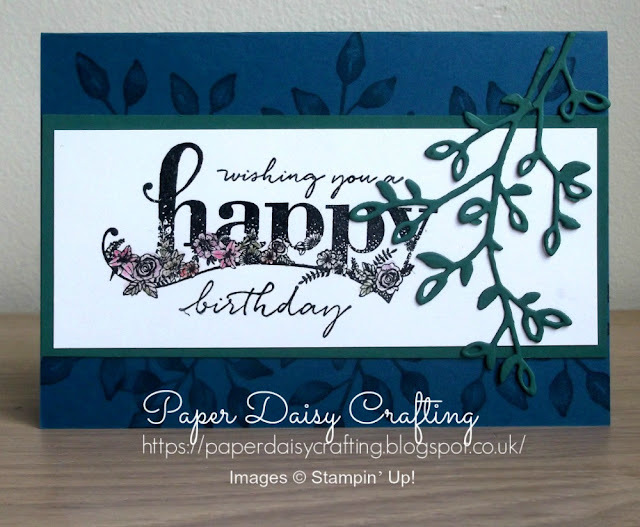 Gez has used the FREE Sale-a-bration stamp set "Happy Wishes" and the "Petals and More" thinlits dies. 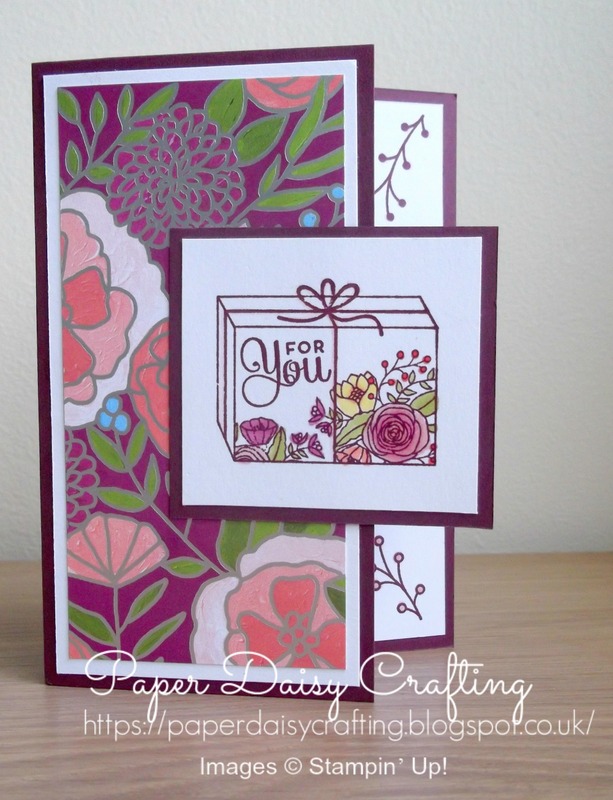 This pretty card came all the way from Germany and was sent by Tina Kreativbox. 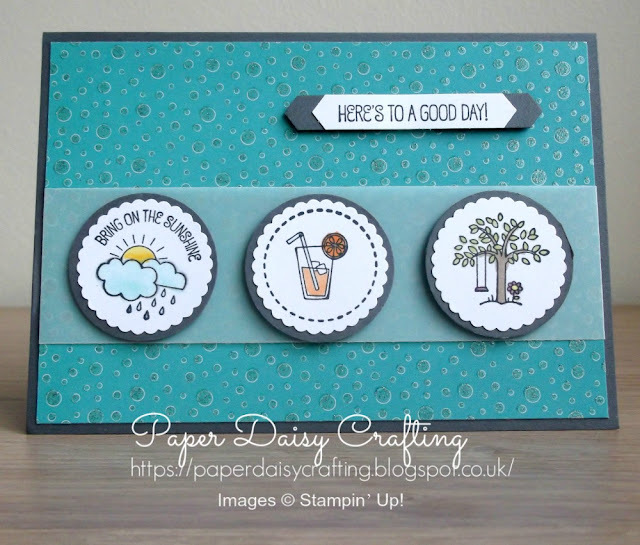 Tina has used one of our new Scallop Circle punches and the "A Good Day" stamp set. Hope you've liked seeing all these beautiful cards. I'll be back soon to show you the card I made with a video tutorial so that you can make yopur own!! If you would prefer a more personal service, have any questions or need help with your order, please either send me an email or give me a ring. I'll be more than happy to help. You can also find me on Facebook, Instagram, Pinterest and YouTube - links on the side of this page.